MK2 Navy Fighting Knife - R.C.C. 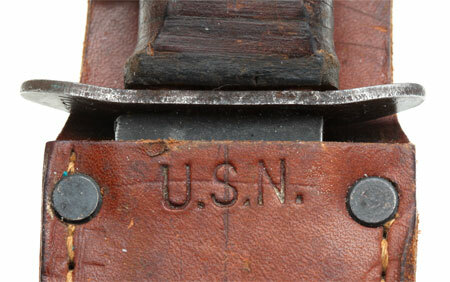 US Navy MK2 Fighting Knife - R.C.C. WW2 MK2 RCC Fighting Knife: Blued 7 inch blade, expertly sharpened, razor edge, crossguard marked U.S.N. MK2 R.C.C. 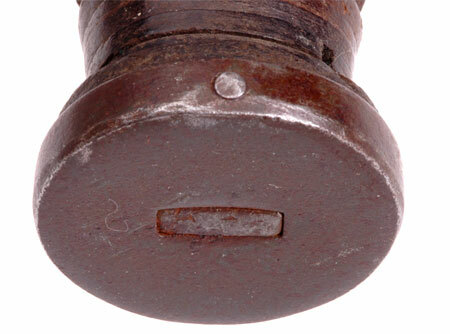 (Robeson Cutlery Company), leather grip, pinned pommel, light to moderate wear; riveted leather sheath, marked U.S.N. ; light wear.